Need some ideas for spring break destinations? 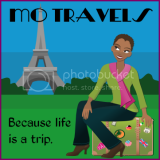 My fellow travel blogger Monique Rubin has some fine suggestions on her blog, Mo Travels, today, featuring several exciting contributors, including moi! I have just come across your site and love it! I thought you and your readers might be interested in our new company; The Little Concierge Company. The Little Concierge Company http://www.thelittleconicerge.co.uk delivers baby essentials; nappies, milk, food, toiletries and much more to holiday destinations all over the world. Parents can choose superior quality baby products and with one click of a mouse, their items will be shipped to their destination and waiting for them on arrival. The Little Concierge also takes care of Mum & Dad, offering a large selection of parent’s essentials and luxuries. The Little Concierge Company saves families time, effort, stress and money. When availing of The Little Concierge, parents no longer need to pre-pack bulky baby products and pay excess baggage, are no longer reliant on unfamiliar and overpriced nappies, formula or baby food. The Little Concierge offers a professional, yet friendly service, enabling Mum & Dad to relax safe in the knowledge their children will be looked after. I'll definitely be checking this out! This is exactly what we're trying to do--figure out where to go for spring break. Right now, we're thinking northern Italy.